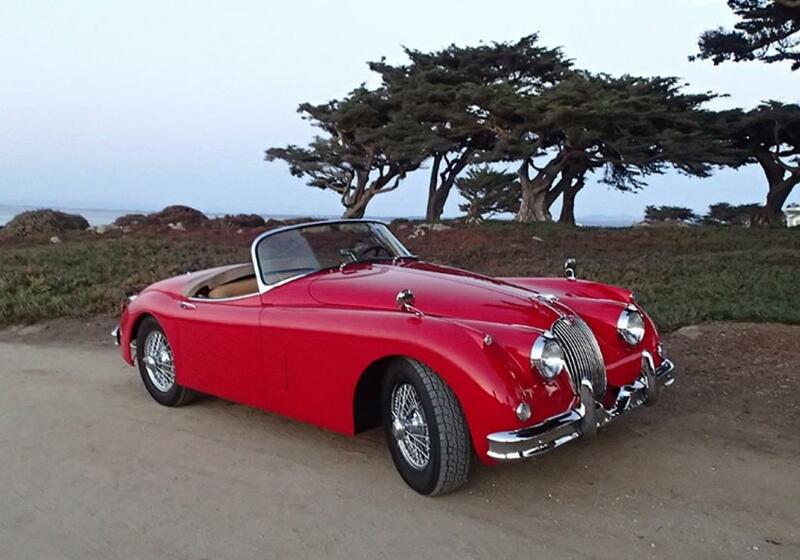 This is a 1958 Jaguar XK150 OTS (open two seater) how the British describe this car. In the US it is called a roadster. This jaguar has had only 3 owners. The original owner, the man who restored it and kept it for 42 years and myself. I have owned it for 3.5 years. The second owner bought the car for $50 with the starter in the seat and one of the splines of the right rear wheel stripped, and it did not run. 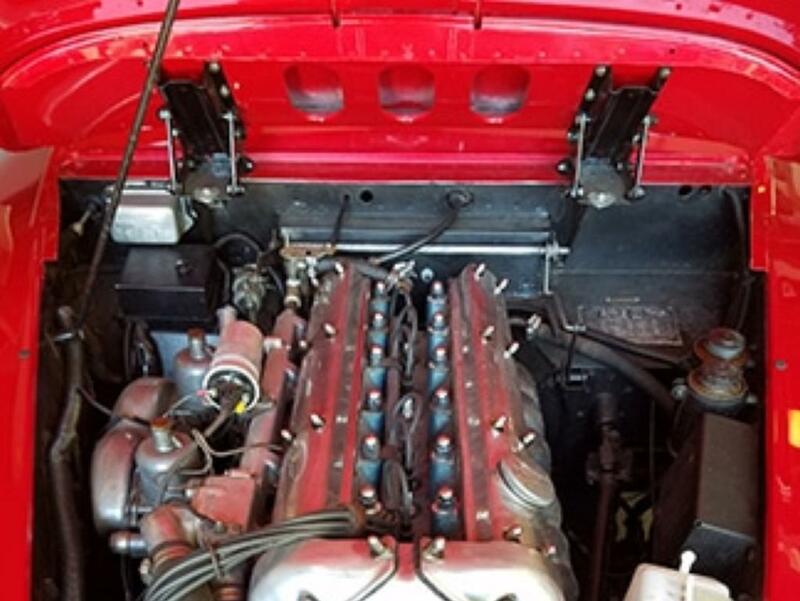 It took many years to restore the car as he was doing a lot of the restoration work himself and he was a working fire chief for the city of Torrance. 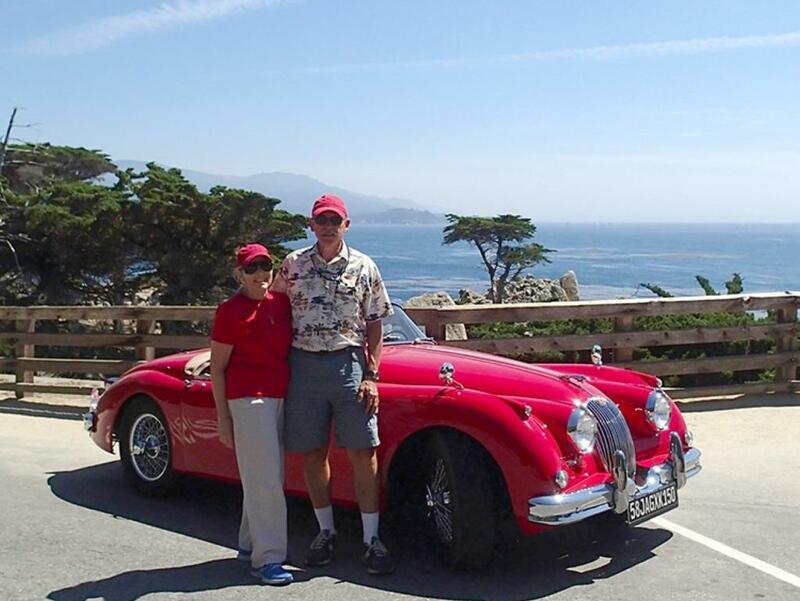 The original color was blue; but he wanted the car to match fire engine red. 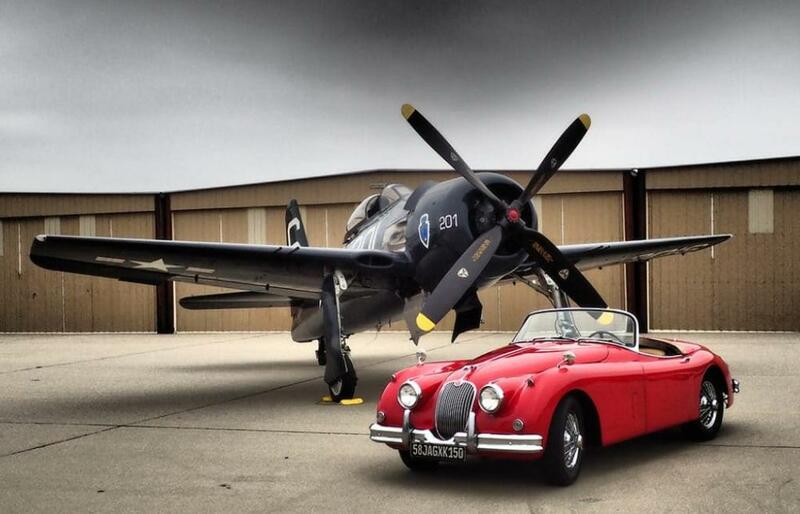 I have always wanted a Jaguar XK 120; but I am too tall to comfortably fit into one. 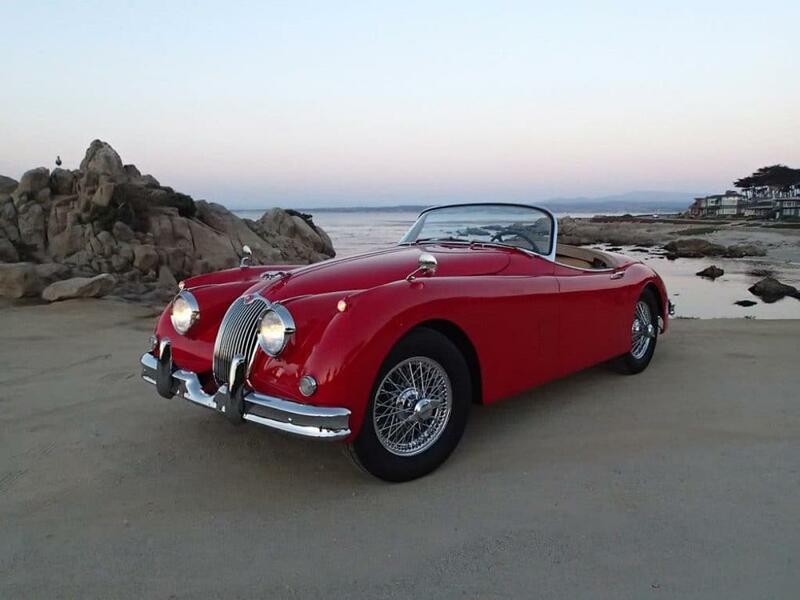 In the back of my mind I thought someday I might acquire a XK 150. I was not in the market for one when we chanced upon this particular car. 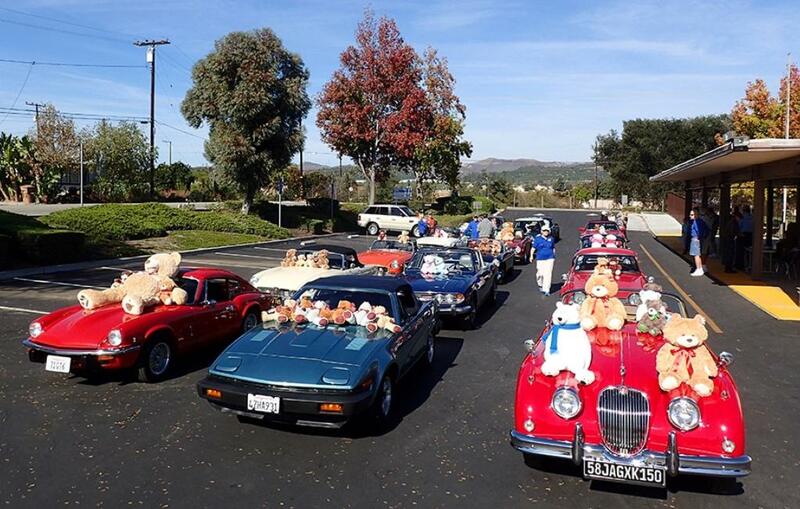 We were on our way home from a MG car event in San Luis Obispo and learned that our group was invited to a small car show at the home of the owner of XK’s Unlimited. We saw this Jaguar sitting on the lawn and after drooling over the car we got to talking to the owner. He informed us that the car was for sale because he was 85 years old and recently had a stroke. He wanted to divest himself of some of his toys; because he didn’t want his wife to have to deal with them if he couldn’t. My wife suggested I take the car for a test drive with the owner. It was love before I got to third gear. My wife was waiting back at the car show and I caught her in a weakened moment and we made him an offer which he accepted. We had no way to get it home as our MG was with us. He offered to keep the car for a month before I could return to pick it up as we were headed out of the country for vacation. I have now owned it for almost 5 years. I have put in a 5 speed with syncro and it is even more fun to drive. The car, my wife and I are headed on our second Mille (actually 1100 miles). We will travel from Ventura to Carmel, then to Yosemite, Lee Vining and finally Death Valley and home.